Below you will find the most Frequently Asked Questions. Please contact us should you require any additional information. Apartments are available from 5 pm. However, should you arrive earlier, we have a luggage storage unit allowing you to take advantage of your day! What should I do if I arrive earlier? If your apartment is not available when you arrive, we have a luggage storage available. The apartment must be vacated no later than 10 am. What should I do if I arrive late in the evening? Should you arrive after 7 pm, simply contact our reception desk prior to your arrival, and they will provide you with all the information as to how to gain access to your apartment. Yes, a complimentary storage unit is available please contact our front desk. Do you have car park? Yes, please contact our reception desk to book your place in our covered car park. What are the opening times for the wellness centre? Is it free? Les Chalets de Rosaël has two wellness centres that are complementary for its guests. The first one is based in the Alaska Chalet. It has an indoor heated swimming pool, sauna, fitness centre and a steam room. The second wellness centre is based in the Mouflon Chalet. It has a sauna and steam room. Children are permitted into the wellness as long as they are accompanied and supervised by an adult. Children are not permitted into the sauna or steam room for safety reasons. 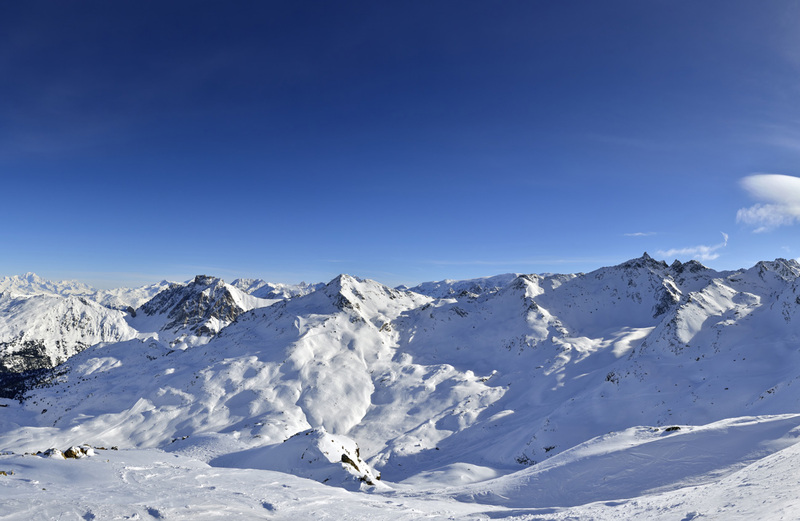 How do we reach Val Thorens and Les Chalets de Rosaël? Take the A43 to Albertville, then head on to the RN 90 to Moutier. As you approach Moutier, you will spot a road sign for Val Thorens. We work with numerous taxi companies. Please contact our reception team who will be able to advise you on the various rates and their availability. Yes, during the winter and summer seasons you will be provided with a duvet cover, a bed sheet, and pillow cases. Furthermore, across the winter season, your beds will be made upon arrival, this is not the case for the summer period. Yes, we provide one small towel, one large towel per person and a bath mat per bathroom. Are DVD-players provided in each apartment? No, however DVD-players are available upon request. I have booked a long stay for several weeks, will my bed linen and towels be changed? Yes, at the end of each week we provide a fresh new set of bed linen and towels free of charge. Are housekeeping services included in the price? -€50 for apartments of 4 people and 4/6 people. -€100 for apartment 6/8 and 8/10 people. *The Kitchen area is not included in the cleaning service. Do you provide housekeeping services during the stay? This service is not included in the rate, but can be booked for a fee of €15 per the size of the apartment per person. E.g apartment for four people the cleaning service is charged at €60. Do you have a shower or a bathtub in the apartments? Both are available, choose the apartment with the right configuration and facilities for you and your needs. Is shampoo and shower gel provided? Upon your arrival, each apartment is equipped with a complimentary shower gel and shampoo. Are cots available for babies? Yes, they are available upon request. (free service). Is it possible to have separate beds? Yes, however, we would recommend contacting our reception desk who will do their utmost to meet your requirements. How can I access the ski slopes? Depending on the snow condition you will be able to have direct access to the slopes from your residence. How can I rent my ski equipment? Do you have a ski room? Yes, a free ski room is available and you will be provided with your own ski locker with a ski boot heater putting an end to those soggy socks!